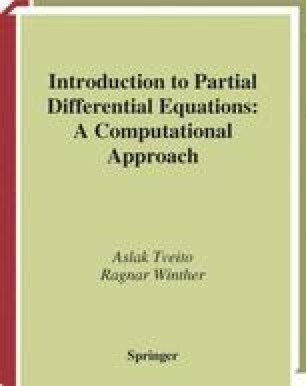 The historical paths of mathematical physics, mathematical analysis, and methods for solving partial differential equations are strongly interlaced, and it is often difficult to draw boundaries between them. In particular, this is the case in the field of Fourier analysis. This field was initiated by Joseph Fourier (1768-1830), a French physicist who studied heat conduction. In his analysis of this problem, he invented the most influential method for solving partial differential equations to this day. For over 200 years his work has been the foundation of certain areas of mathematical analysis. Any student of engineering or of the natural sciences has to master his techniques.